The Big Brother 15 LIVE FEEDS EXCLUSIVE Content is NOW LIVE! Big Brother Spoilers > Big Brother > Big Brother 15 > The Big Brother 15 LIVE FEEDS EXCLUSIVE Content is NOW LIVE! 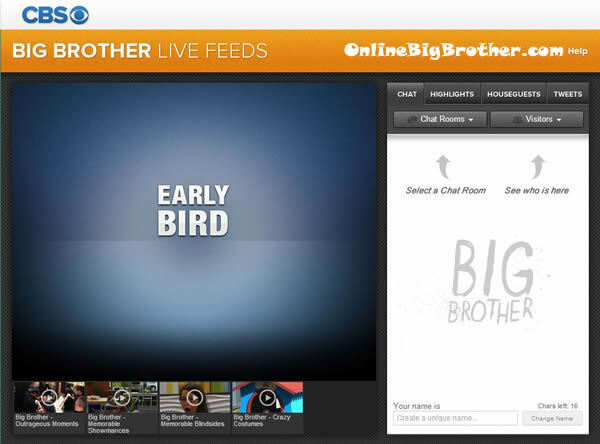 The PREMIÈRE of Big Brother 15 is just 15 days away and today the Big Brother Live FEEDS are activated! Everyone that signs up for the Early Bird discount get access to the live feeds 2 weeks starting today before the première. With the ability to choose a chat room and to see who’s in it. *** FOR ALL THE BIG BROTHER CANADA FANS – The videos now available on the live feeds are working in Canada without a VPN, so that is good news. 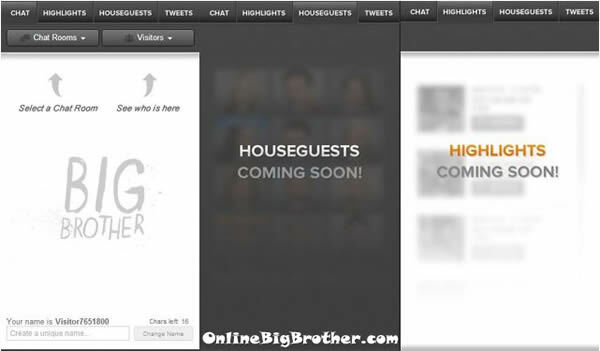 However this may change once the live feeds get turned on June 26th, 2013. As with every year around this time there are always tons of rumors about the newest season and if you missed our post about them you can catch up here: Big Brother 15 Rumors. The Big Brother Live FEEDS are on sale for a LIMITED time, sign up now before the price goes back up to the regular price. It’s only $23.99 for the ENTIRE season of Big Brother 15! It’s super quick and easy to sign-up so do it now and take advantage of all the extras that are EXCLUSIVELY viewable to members only. If you live in Canada and want to get the BB15 live feeds here is how you do it: How to get the live feeds in Canada. (** As of now the feeds are working without a VPN) With Big Brother 15 starting earlier and going longer there is no tell what surprises and twists they have in store for us, so subscribe to the live feeds to not miss a minute of the action! Sorry if this is a stupid question, but if we sign up now does that mean we can watch the HGs on the feeds before the show begins on CBS? They’re moving in a week before the premiere, right? So, do you they typically black them out the week before when the HGs do arrive? I’ve always waited and gotten the feeds a week or so in, but I think it’d be cool to see the HGs in the house before the show actually begins, see how they interact knowing they’re not on TV yet. Yeah I agree.. last year we had a feed leak and found out Willie was the first HOH man was that a crazy first week..
Hi Simon, I love reading the live feed summaries on sites but have never bought the live feed myself. I was wondering if they have an archive of footage from the previous season or if its only the current season every year. Hey Naz, Glad you like the spoilers!! When the live feed service was through superpass we could go back and watch the past years feeds but with the move to CBS I think all they will be providing is highlights.. They really should put all 15 seasons of feeds up I would pay for it to watch some of the feeds I missed. Hi Simon! Can we go back and watch the live feeds like we could for BBCanada or will it always be in live mode? Thanks!! Will we be able to watch live feeds on iPhone? Yes, if you sign up for the live feeds you will be able to watch them on your iphone and android devices. Im in canada and wanna get the live feeds really dont wanna waster my money if it doesnt work.. Any ideawhats goin on withthat?